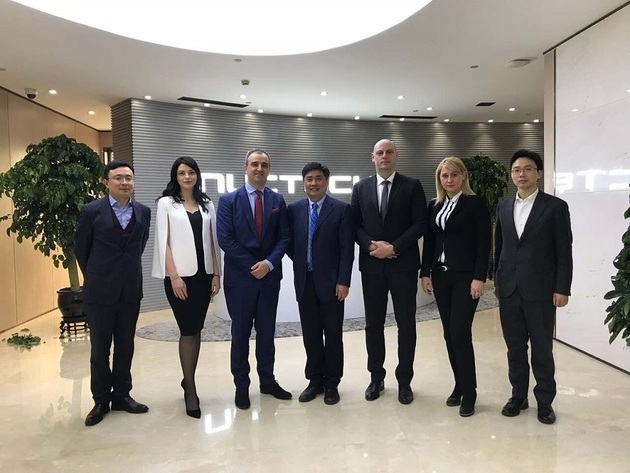 Representatives of the Nikola Tesla Airport and the Chinese corporation Nuctech agreed in Beijing on the deadline and the manner of the delivery of the latest luggage inspection device, which the company from China donated to the Belgrade Airport. During the visit to the seat and the plant facilities of the Chinese corporation, the acting director of the Nikola Tesla Airport, Sasa Vlaisavljevic, talked with the vice president of Nuctech, Weidong Wang, with whom he signed an agreement on a donation worth over a million euros in December 2017 in Rotterdam, the Belgrade Airport announced. The agreement entails the delivery of the latest technology device for the inspection of the handed-in luggage in line with the ECAC 3 standard to the Nikola Tesla Airport. – The device uses the principle of computed tomography and is an instance of the latest technology in the field of aviation security – the Belgrade Airport said. During the meetings in Beijing, the next steps pertaining to the deadlines and the manner of delivery, as well as the integration with the existing transport system at the sorting house at Terminal 2 at the Nikola Tesla Airport were agreed.